Read the necessary sources and act accordingly. Google algorithm update is important part in the SEO world, where it is not necessary for you to react for small updates in the search algorithm. Sometimes these updates may be impossible for the small business men. It is important to follow the updates as well as on top sites. Keeping eye on the Google search algorithm updates will make you to be in top of the rankings and helps you in the digital marketing. Many business men used to react for all the small updates thinking it would make an impact on them. 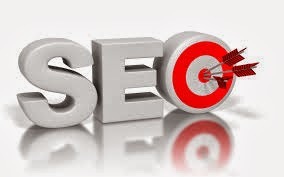 But the idea is knowing what is more important and how it would help them to grow higher in the search engine rankings. Algorithm updates are not the end for the SEO Company and for their websites. The important thing is to check whether you have used all your possibilities to become top in the SERP rankings. Some possibility are check whether you have changed the style of writing content in the site and also check whether there is a problem in loading the site for mobile phones with your new content, look whether it takes more time to load the site. If you follow these basic ideas and perform accordingly, algorithm updates are not going to affect you in the rankings. Make sure that you don’t become a victim for the company failure by considering these updates. Here there are some sites which help you to know about the updates instantly. MOZCAST will help you to know the exact climate of Google algorithm updates. It is described through a stormy day. This is great because marketers can check information daily in a general sense. When you see stormy day on this site you should keep an eye on Google blog. MOZPRO consist of dates and information about the changes in the Google algorithm. MOZPRO has an entire page to represent the Google updates. It is important to read the sources where MOZPRO has done a great job in collecting this information’s for us. If you’re looking for the history of Google algorithm updates (from 2013) then SEO book will give you the details about the updates. They have highlighted all the major updates in Google. The best thing about the book is they have given explanation for all the updates. There are many tools to monitor the algorithm updates, but the idea is to understand the major changes in the algorithm and change your strategy of SEO.